The Gilmore Girls have been a household name among women since the year 2000 – nearly 17 years! And while many people have spent a good amount of time picking apart the parenting style of Lorelai Gilmore, I’ve actually always considered her and Rory’s relationship to be something to strive for. Their closeness and ability to tell each other anything was awe-inspiring. When I first watched the show as a teenager, I vowed that if I ever had a daughter of my own, I would want us to have a relationship like Lorelai and Rory. Luckily for me, I’ve been blessed with TWO beautiful daughters that I aim to have such a relationship with. 1. It’s okay to be friends. The very first characteristic of the Gilmore girl relationship that drew me in was the fact that they were so close, they were like best friends. Many parents can be quoted saying “I’m your parent, not your friend,” and I can totally respect that. Of course you’re the parent first, but I think developing a friendship between mother and child is actually a vital part of forming a long-lasting, formidable relationship. When you’re friends with your child, you learn to enjoy each other’s company. You spend time together not just because you’re related and you have to, but because you genuinely want to. This strong bond leads to a greater sense of security, self-confidence, and, well, happiness! Yes, I said you should be friends with your kids. But remember to parent first! You’re the adult, and knowing when to just be the parent is essential. You know better, and they need you to teach them right from wrong when they’re young so their moral compass is calibrated correctly as an adult. Play the “mom card” whenever it’s needed. And by all means, stick to your guns! Discipline doesn’t always have to mean a belt-whipping, (We’ll be sharing alternatives to “corporal punishment” in the near future – stay tuned!) but a child needs to know there are consequences for their less-than-desirable actions. It’s a good rule of thumb when you enforce a punishment, to always explain to your children what they did wrong and why it was wrong. Not only will they respect you more for it, but they’ll also be much less likely to do it again. With the Gilmore Girls show starting when Rory was a teenager, they didn’t touch on how Lorelai approached discipline in the younger years. But when her daughter did something wrong? Lorelai knew it was not how Rory was raised and totally out of her daughter’s character, and she’d tell her as much. Lorelai’s disappointment in her was enough to keep Rory on the right path. 3. Be a safe place. This goes hand in hand with forming an actual friendship with your child. Creating a safe place and being their go-to confidante for sharing secrets, fears, and dreams – all without judgment – is what a trusting and loving relationship is founded on. If my daughter comes to me and admits to wrong-doing without my prompting (especially when I would have never found out otherwise) I’m less inclined to punish her. Instead, we talk about why such actions were wrong and how she can do better next time. This makes owning up to mistakes and always being truthful much more appealing in the eyes of a child, and it makes me more comfortable as a parent knowing she’ll come to me with her troubles, fears, or secrets. 4. Keep the lines of communication open – even when you’re fighting. Lorelai and Rory don’t always see eye to eye, and occasionally get into some nasty fights. It happens to the best of us. But in the end, they love each other and we know their relationship will stand the test of time. So even if they fight and stop talking for a few days, we all know they won’t resist for long. Their bond is too strong to go more than a few days without sharing their latest life-updates. When we fight with our kids (or our own mothers!) we may need to cut off communication for a time to calm down before approaching the subject again. But even if we’re mad, we can still keep each other in the loop until we get the chance to really talk things out. 5. Be a shoulder to cry on. No matter what’s upsetting your kid, as a Gilmore-mom you’re their shoulder to cry on. Be there for them! Even if you think what’s upsetting them is silly. Lorelai had the best break up advice, “Get back in your pajamas, go to bed, eat nothing but gallons of ice cream and tons of pizza.” She was always there for her daughter when she needed her. Which is exactly what your child needs – wisdom and reliability! Because when it comes to breakups and heartache, a pajamas and junk food period is pretty standard. 6. Be their #1 fan. You’re a mom, so I know you’re already SO proud of your kid, right mama? As a Gilmore-mom, you’re so proud of them it brings you to tears. You’re their #1 fan. They know it, their friends know it, heck the whole town knows it. You show up to ever school function possible, you’re in the front row at every ceremony, you like to share your kid’s latest achievement with anyone who will listen… and you’ll drop everything the second they need you. Your love knows no bounds. 7. Teach them the importance of community. It takes a village to raise a child! No one in Gilmore-land knows this better than Lorelai. The show often alludes to the past, saying that the Stars Hollow residents played a big part in helping Lorelai raise Rory into the woman she grows to be. Lorelai doesn’t let her daughter forget that she couldn’t have raised her without help from the community. This helps Rory not only develop her own relationships with townspeople, but also leads to her playing a rather important role as the town’s newspaper editor. The older I get, the more I realize the true benefits of being a part of a community. Whether it’s a tiny town, a charity group, or even a church fellowship – being part of a group with people you can trust and rely on, can really help not only in raising your kids, but in building a successful life. 8. Your kid comes first. This isn’t really talked about, but it’s pretty obvious Lorelai puts her daughter first in life. Since becoming a mother, Lorelai gave up everything from her former life and focuses all her attention on raising Rory. Although never committing to a stable romantic relationship (until the very very end) may look “unstable” to some people, perhaps it was simply because she didn’t care enough to prioritize any other relationship as much as the all-important mother-daughter dynamic. Plus, as Rory’s #1 fan, always spending so much time together, on top of running her own inn, she really doesn’t have time for much else! Caffeine reigns supreme on the heart of a true Gilmore girl! This is so vital to being a Gilmore-mom. 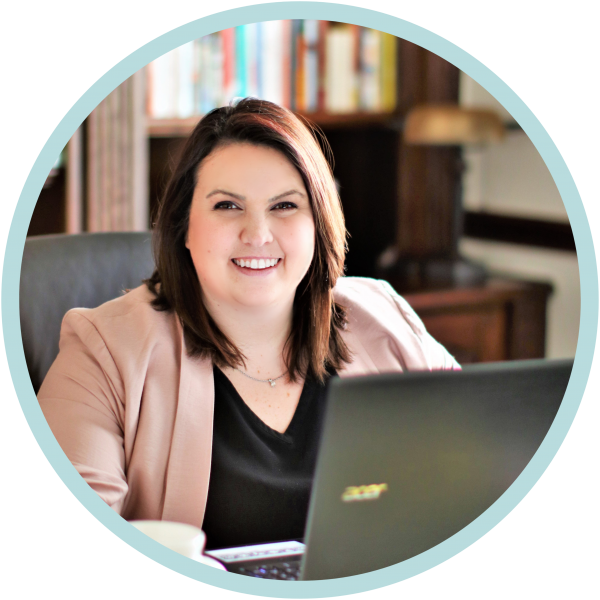 As any single mom will know, parenting a successful child, plus being a part of the community, continuing other relationshps, on top of building your own business and career – it’s all so demanding! When do you have time to sleep? So how do you combat vampire-like sleep deprivation? 10. Junk food always has its place. While I’m not a super fan of Lorelai’s disdain for home cooked meals and junk-food-forever ideals (nor is it in my budget!) I am in support of consuming not-so-healthy feasts on special occasions. Fort and movie nights, birthdays, holidays and other random celebrations, all call for take out and/or junk food. As long as it’s not every night, greasy, sugary, deliciously unhealthy food definitely has its place. 11. Don’t take life too seriously. One of my favorite things about Lorelai is her ability to see humor in everything! This is apparent in her constant witty remarks and sarcasm throughout the show (something her own mother often remarks on). While I may be a pretty serious person, I love to laugh and Lorelai’s silliness and quick wit had me giggling at every episode. Learn from Lorelai and be silly! When it comes to parenting, being able to find the funny can turn lots of situations around. Whether you’re dealing with a first boyfriend, a difficult relative, heartache, a super-proud-and-emotional moment, or what have you – being able to laugh at the situation, and at yourself, can make a world of a difference. It’s no secret that the Gilmore girls are blessed in the looks department. But even though they’re beautiful (and they both know it) Lorelai has successfully taught Rory to value brains over physical appearances. Rory was always extremely invested in her school work and future career. While Lorelai never went to college herself, she was determined that Rory go to Harvard from the time her daughter turned three. She may not have gone to Harvard, but Rory still attended an Ivy league school! Bravo, mama! Beauty fades, but knowledge is forever. Your daughters friends, your friends, all the friends – are like family! This definitely ties into community. When you and your daughter are as close as the Gilmore Girls, you’re both friends with each others friends. But I suppose it’s to be expected in such a small town, too. I always loved how friends of Lorelai would never talk down to Rory like a child, but merely another human being. They treated her just as well as they treated her mom. And while Lorelai was still a mother figure to Rory’s friends (especially with boyfriends), she treated them like family and they absolutely respected her for it. A great Gilmore-mom prioritizes time with her children. Whether they spend time shopping around town, eating stupid amounts of junk food, chatting over coffee or during movie nights, walking around Stars Hollow, or even having slumber parties – mommy daughter time is important, and frequent! I love spending special mommy-daughter time with K. But since she’s only 6, we’re not quite at the level of Lorelai and Rory. I’ve actually often wondered how different their time together was together when Rory was small, not yet old enough for chatting over coffee or dishing about boys. Did she play Barbies and baby dolls like the rest of us? Was Rory a colicky child or was she always perfect? Honesty ties in with trust, and trust strengthens relationships. Lay a solid foundation by building your relationship on honesty and mutual trust, and it will keep you two going strong for life. Lorelai and Rory were close enough to tell each other everything, even their mistakes. And if they didn’t fess up? They new each other so well that they were bound to find out when the other was hiding something. Be honest with your kids, if you expect honesty in return. Having a mother-daughter relationship like the Gilmore Girls is much more than junk food and classic movies. It’s loving your kid enough to give them your all, to completely invest in them, to show them how proud you are. To prioritize them, to enhance their life with happiness and wit. While I can’t say Lorelai was perfect (c’mon, who is?) she sure did make single parenting look like fun. 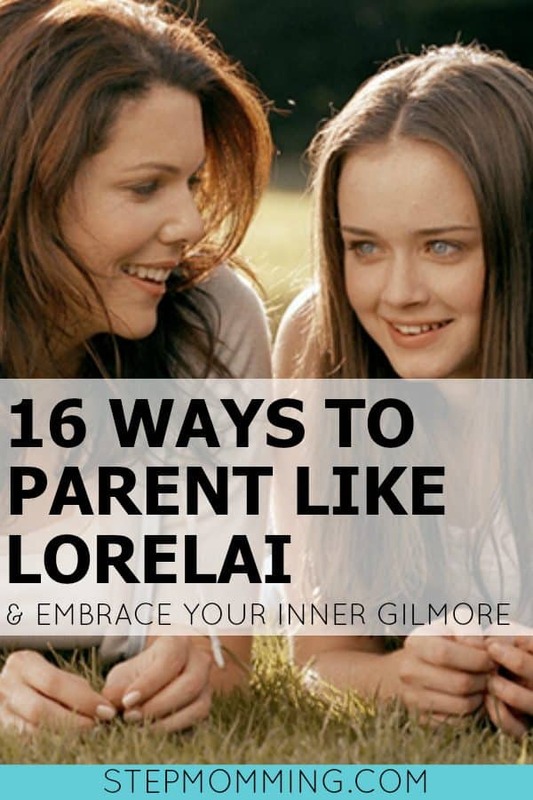 We know the Gilmore Girls is just a TV show of course, but the Lorelai-Rory dynamic shared a lot of great insights on an uncommon parenting strategy. A strategy that I, personally, have loved learning from. If you’re like me and just can’t get enough Lorelai, you should read Lauren Graham’s new book Talking as Fast as I Can. Kristen recommended it to me and swears it’s as great as the series! What do you think of the Parenting like Lorelai list? Did I miss anything? Loved this so much! I’m obsessed with the Gilmore ladies and want that bond with my kiddos too. Thanks for writing! I love the Gilmore Girls and always thought their relationship was pretty special. Me too, absolutely. I could never get enough Gilmore! Can you believe I never say this show? But I did hear a lot about it, and your points are so touching. I do wish my mom & I had a better relationship. Not that it’s bad, but we certainly know how to push each other’s buttons!! Aww…I love Gilmore Girls and this is such a wonderful list! Their relationship was so great and would love to have a relationship with my daughter like they had! Thank you Vanessa! I’m glad you liked it. And same here! One can only hope. Oh, I love this so much! I have 3 daughters and I definitely want a Lorelai/Rory relationship with them! Thanks for this! Totally awesome! I love Gilmore Girls and the relationship that mother-daughter duo have! Way to point out some awesome tips for having that kind of amazing bond! The only thing I want to touch on is the child-as-the-top-priority thing! My opinion on the matter is, obviously, children are a MAJOR priority in life. However, I don’t necessarily think they should come before the relationship. Both the parents and the children will have lives separate from the relationship they have with each other! I believe it’s too much pressure for a kid to be anyone’s end all, be all. If you’re able to make your relationship with your partner your top priority, not only do you then provide an example of what a solid relationship looks like to your children, but you also have a solid foundation for the life you will have when your children inevitably fly the nest. Just my two cents! Great read, per usual!